La’Ticia Nicole often says, “I am just a girl from Detroit, MI who had dreams of success.” In 1992, she moved to North Carolina with $15, four outfits and a dream. The thought of being what others said she would become gave her the perseverance to gain admittance to Livingstone College in Salisbury, NC. Her passion for helping people led her to transfer to Winston Salem State University where she graduated with a Bachelor of Science in Nursing with honors. La’Ticia Nicole furthered her education by receiving a Master of Business Administration from the University of Phoenix in Phoenix, Arizona. The two combined degrees allowed her to become an Executive Director in the long-term care industry thus accentuating her desire and passion for helping others. She credits her success to God, her mother, grandmother and a loving family who instilled strong morals, values and work ethics. La’Ticia Nicole Beatty is a child of God, wife, mother, daughter, sister, friend, mentor, philanthropist, sought-after motivational speaker, author and always a work in progress. La’Ticia Nicole also speaks to women and children about sexual and domestic abuse. La’Ticia Nicole mission is to teach women and girls to become successful at business and relationships by conquering their fears and shifting their mindset. Through coaching, speaking and events she delivers her faith-based message of hope and encouragement that allows me to SPEAK LIFE into otherwise dead situations. 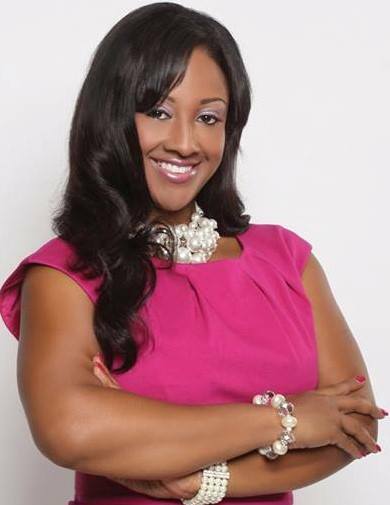 La’Ticia Nicole is The host of #Speaklife Radio and #Speaklife T.V. on Monday, Wednesday and Friday mornings at 7:30 a.m. and Every Thursday night at 6 p.m.